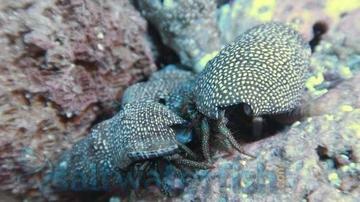 The Emerald Crab, Mithrax sculptus, are one of the most popular marine crab species for the home aquarium. 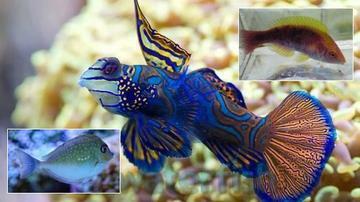 They thrive in tanks with plenty of live rock and a sandy substrate as the like to graze searching for algae. As voracious algae-eaters, they can be incredibly beneficial members of a cleanup crew. If there is not enough algae or seaweed, they can be supplementally fed with prepared meaty foods. They should, however, be fed regularly to keep them from becoming aggressive towards their tank mates. 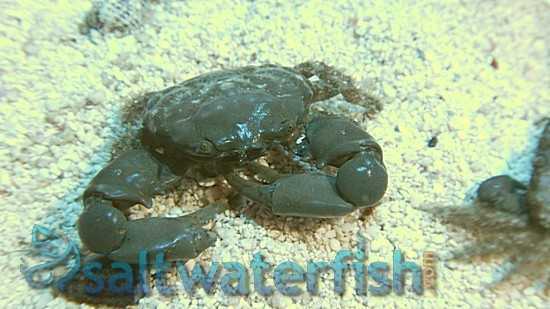 Emerald Crabs are particularly effective against bubble algae. There is a reason emerald crabs are so popular; they are very easy to care for, require almost no attention, and are effective in in controlling pesky algal blooms hence keeping the tank clean. Another family favorite to watch them nibble on their food and climb throughout the tack. Very nimble! They walk around like little boxers and walk sideways in the sand. Doing a great job housekeeping. Very interesting addition to a reef clean up crew. Likes to quickly hide in crevices. I received a very healthy, nice size Emerald. He's very active and of course very funny. Love this web site! Came in good condition. Adding rocks to the tank changed water condition, but they survived. I received one as part of a reef pack. While it is usually hiding most of the time, it makes appearances once my tank moves to moonlight LED. I have a feeling he is nibbling on the edges of my mushrooms as the other inhabitants are completely reef safe. Arrived happy and healthy. A lot bigger than I was expecting! Emerald crabs I love my emerald crabs. I have 5 and can always see at least 3 at a time working on my live rock. They are fun to watch, actually it's relaxing! They are out and about and very enjoyable! Very nice little crab. Fun to watch. He has already molted twice since being added, went from a brownish color now turning green. 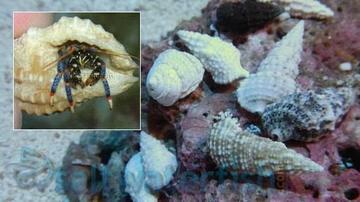 These crabs appear very busy picking at the rocks and sand. They seems to be good cleaners. They leave my fish and invertebrates alone. Good addition to the tank! Emerald crabs are always cool! Lost mine to high nitrates last time but replacing my clean up crew, he was first on the list! Fun to watch eat fun to watch grow.